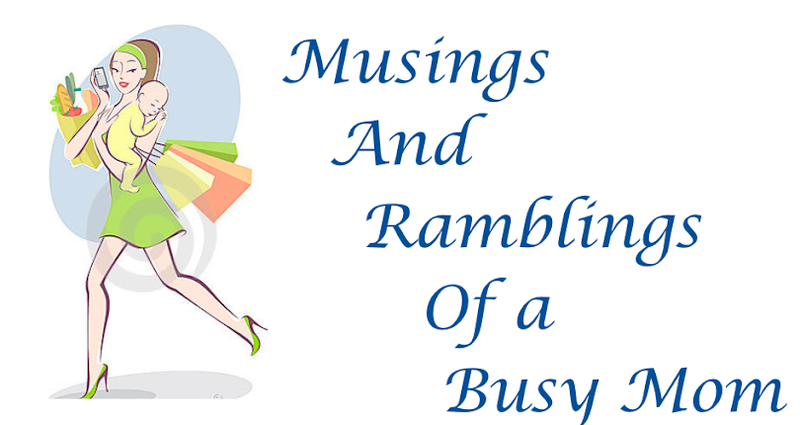 Musings and Ramblings of a Busy Mom: Are Dads Getting in on the "Mommy Wars?" Are Dads Getting in on the "Mommy Wars?" 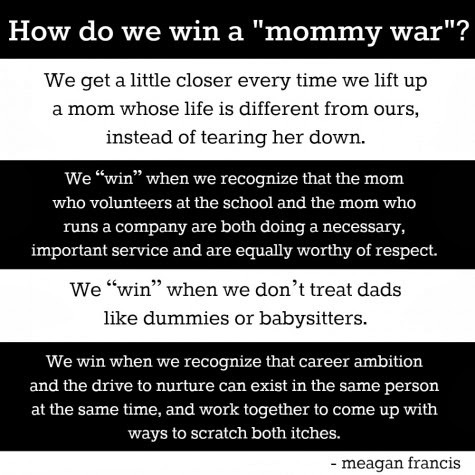 When it comes to the "mommy wars" I'm ambivalent. I think mom's need to support each other and their decisions on how they raise their children (unless its neglectful, or is putting others at risk). I also am not one to "brag" about how smart my child is. Obviously, as her mom I think she's the cutest, smartest, kindest child since forever, but every other mother has these same feelings about their child. Now of course if you're in a conversation with other parents about ways they teach their kids at home, or the type of school program they're in, I don't think it's bragging...just wanted to make that clear. So this post was sparked by my encounter with a single dad at the park. Our children where the same age, and of course started playing and hanging out together. So naturally, dad and I started to talk about our kids and the activities they were involved in. He asked me if my daughter was in preschool, I said "yes" he then said that he homeschooled because he didn't think the kids got anything out of preschool. He then started quizzing me about what academic facts my daughter knew, after I told him he proceeded to tell me everything more that his son could do. Now this doesn't normally bother my, however, it did seem that this particular dad was only asking me questions to "one-up" me (or I guess I should say my child). Of course he finished every comment about how his son knew more, with "but she's really smart though". 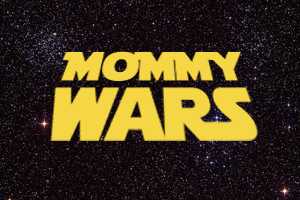 Now this was my first real life experience with the mommy wars, and quite frankly it took me by surprise that a dad was participating. Usually, guys are pretty go with the flow, and don't try to compete (at least not so obviously, and not with a woman). So this entire experience was very weird to me and I wasn't sure how to respond to what he was saying. I just opted for the old "kill 'em with kindness" strategy and pretended that I didn't even realize what he was trying to do. I'm not sure if he got the message or not with my indifference, but it did make me feel better that when I was presented with it, I didn't fall into the "mamma bear" mentality to defend my child against a someone I barely knew, whose opinion didn't effect me in any way. Now I want to know, how do any of you mom's deal with being confronted with the mommy wars?